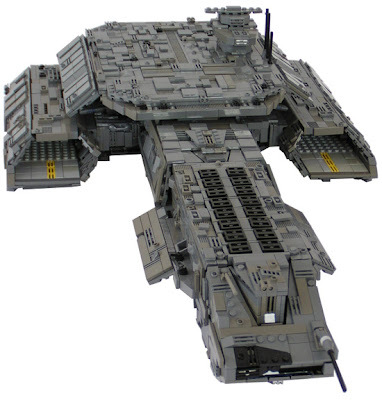 This, my friends is how LEGO creations should be. Amazing, majestic, and magnificent. 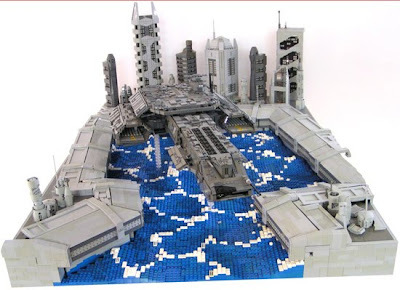 Fifteen year old Sven Junga is a very talented guy, and is the creator of the highly detailed LEGO version of the Daedalus from Stargate Atlantis - including an awesome diorama of the surrounding ship landing area! :O I never was this good with LEGO blocks. I would not be surprised if LEGO HQ offered him a job to come design creations for them soon. 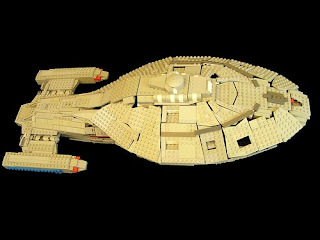 He has more LEGO creations in his Flicker Gallery [link], such as this bonus, the Star Trek Voyager - LEGO edition.